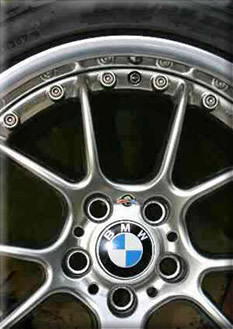 PhoenixMotorsport offers a polishing and chromium plating service for the dedicated car enthusiast, to both enhance the appearance and to protect their investment. We can also copper, zinc and nickel plate purely for corrosion resistance. 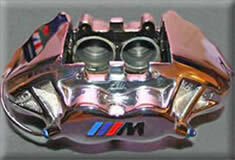 Chromium plating alone does not give that “mirror shine” we all associate with chrome plating. The item must be polished prior to plating for this finish as chroming alone will produce a bright, but not shiny finish. As all our polishing is done by hand using a large buffing wheel, it is not possible to polish inside small nooks and crannies so there will inevitably be shielded areas where the hand polisher cannot buff. We are more than happy to chrome plate your own polished parts should you wish to polish these areas with a tiny buffing wheel (such as a Dremel). We mainly chrome plate steel items, but are able to plate alloy parts also, but due to the “breathability” of aluminium and the various qualities of it, there is no warranty on this service. 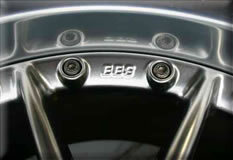 Magnesium cannot be plated, only polished. Any chrome plated parts will require some routine maintenance of cleaning, and application of a protective wax where possible because whilst resisting rust, it is not immune to it and regular cleaning and polishing will extend it’s life enormously. 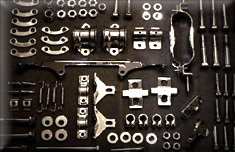 Brackets, clamps, nuts and bolts can all benefit from chroming as well as some major items such as cam covers, engine pulleys, springs and linkages. Please note that if the item to be plated is badly corroded, it may be impossible to retrieve a mirror surface finish and a new item should be found. 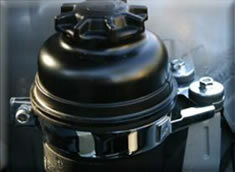 All items sent for polishing/plating must be cleaned of oil and grease or a surcharge will be applied. Old chrome or paint is not a problem.